Get creative with Bostik by entering for your chance to win a Bostik craft prize pack! Bostik is giving away three $5,000 primary school grants to the most outstanding craft projects Australia-wide. Students are encouraged to get creative while learning about the importance of the environment and recycling. Visit www.bostik.com/australia/smartschools to enter your school’s entry or to view the wide range of Bostik downloadable project sheets. Designed to enhance fine motor skills and encourage student’s creativity, there are projects for all ages. To kickstart your Bostik’s Smart Schools program entry, we’re giving you the chance to WIN one of 10 Bostik craft packs valued at $100! Each prize pack contains 10 packets of Blu Tack (75g), 10 Blu Stiks (35g), 10 Clag paste (150g), 1 Fine and Wide Clear Glue (30ml), 2 packets of Glu Dots and 2 Super Glue Twin Packs. Competition closes at 10am on Friday 26 April, 2019. Existing subscribers will not be resubscribed. This promotion is solely run and managed by Community Newspaper Group Ltd. Community News contact details are: 34 Stirling Street Perth WA, phone 92371000. All entrants that enter this promotion are deemed to abide by all Terms and Conditions including and not limited to these specific Terms and Conditions. All persons that enter this promotion must reside in the State of Western Australia. Only individuals can enter the draw and only one entry will be accepted per email address. The drawing of the winner will be random and will be final with no correspondence entered into. The winner of the prize agrees to their details being available for publicity purposes and publication. 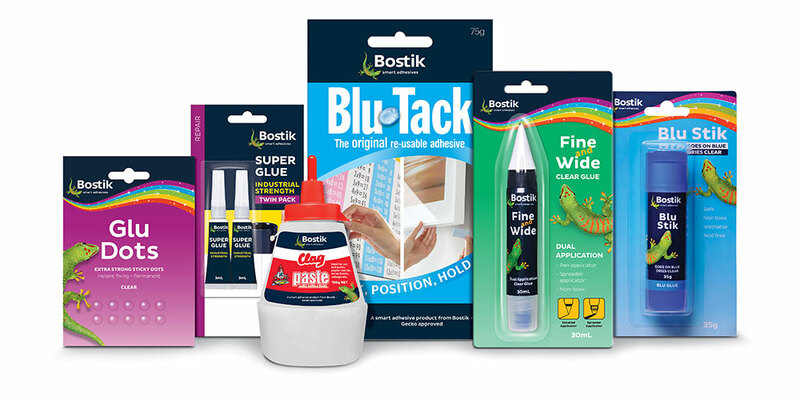 Prize 1 of 10 Bostik craft packs. Each pack is valued at $100. Entries are only accepted via Community News website communitynews.com.au and by following the links. Valid entries will only qualify to go into the draw once the entry has been completed on the named website (point 1 of this section) by 10am on 26 April 2019. All employees or agencies of Community Newspaper Group Ltd (CNG) and its’ associated companies or partners together with their family members, or anyone else connected with the promotion are not eligible to enter the draw. Any personal information that may or may need to be collected under this promotion will be retained under the Australian Privacy Principles as governed by the Privacy Act 1988. The winner/s will be drawn at random from those that qualify under this promotion. The draw will take place at CNG’s office at 34 Stirling Street Perth WA on the 26 April 2019. CNG accept no responsibility for any costs associated with the prize and not specifically included in the prize (including, without limitation, travel and associated costs to collect and redeem the prize). The winner of the prize will be contacted by phone, email or post within a week of the promotion ending. If a winner rejects the prize or they did not qualify to enter the promotion CNG reserve the right to draw another winner. The prize is non-exchangeable, non-transferable and cannot be redeemed for cash. CNG reserves the right to substitute the prize with another prize of a similar type and value in the event the original prize offered is not available. CNG takes no responsibility for any damage, loss, liabilities, injury or disappointment incurred or suffered in accepting and collecting the prize. CNG reserves the right at any time to modify, discontinue, temporarily or permanently, suspend, cancel or alter the promotion without prior notice due to reasons outside of CNG’s control. The decision of CNG in all matters under its control is final and binding and no correspondence will be entered in too. CNG will not be liable for any failure to comply with its obligations where the failure is caused by something outside its reasonable control. CNG in conjunction with this promotion will abide by all Acts of Law inforce in Australia at the time of this promotion including all Australian States and Territories. By entering the promotion the entrant agrees and consents CNG collecting your personal information for future marketing purposes which will include but not limited to planning, research, future promotions, business development and advising you of our products, services and other communique CNG deems appropriate. If the entrant is not agreeable to point 14 of “general T&C’s” write to Community Newspaper Group Ltd, Marketing Dept., Locked Bag #2 Northbridge WA 6865 stating what information the entrant agrees to be collected and stored, if any at all.